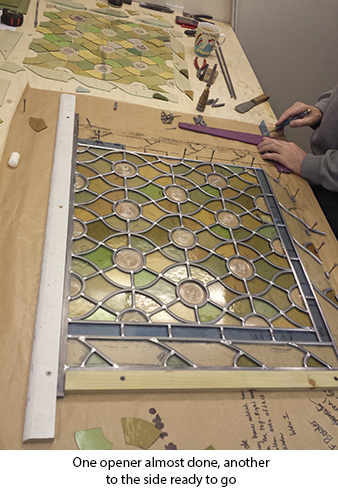 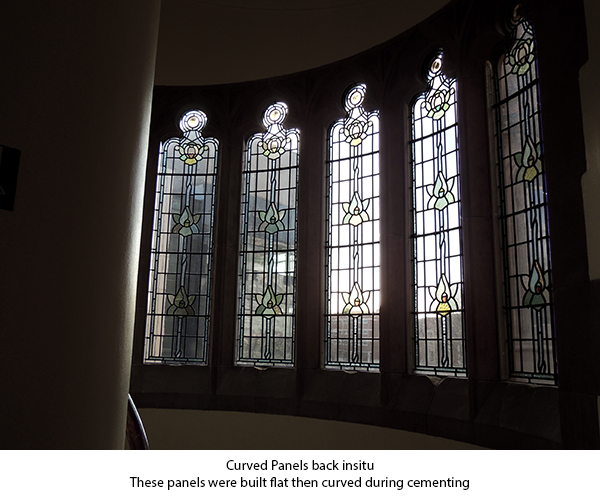 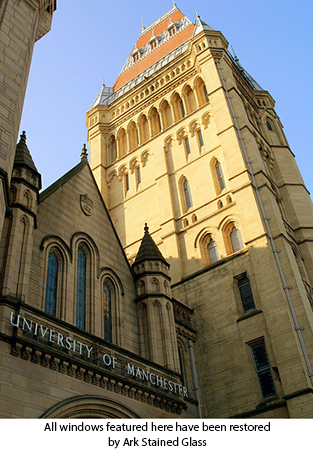 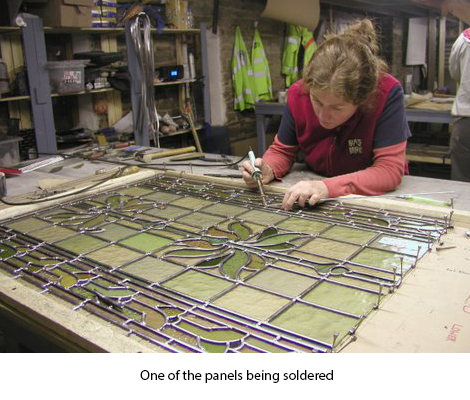 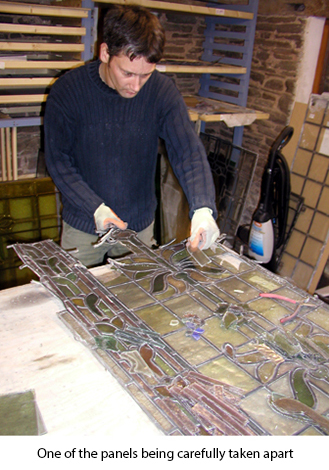 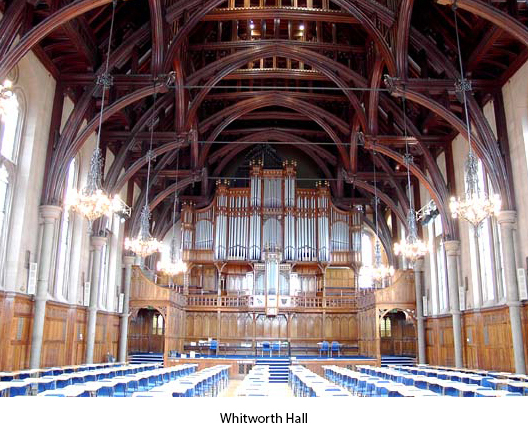 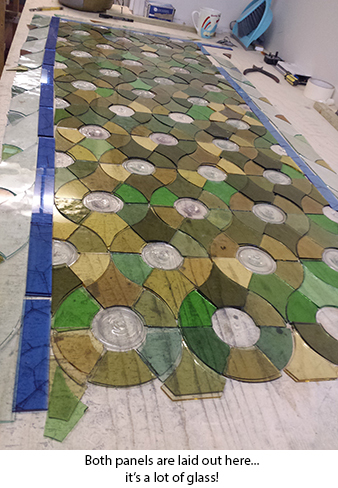 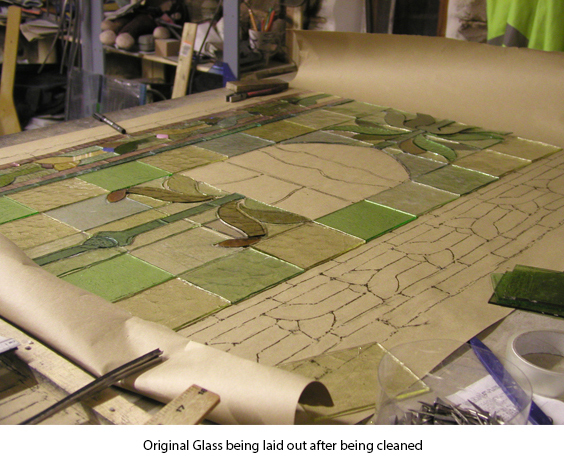 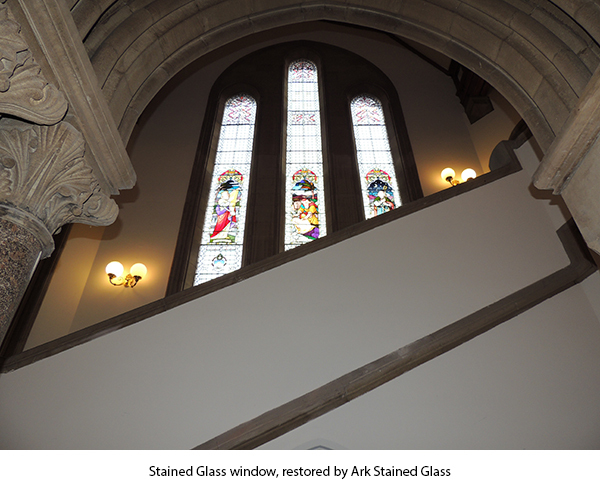 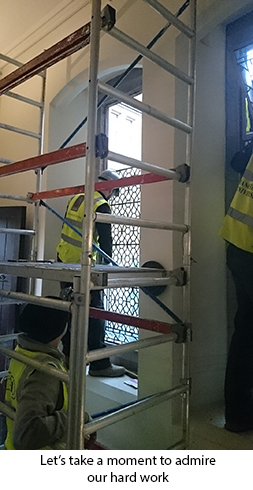 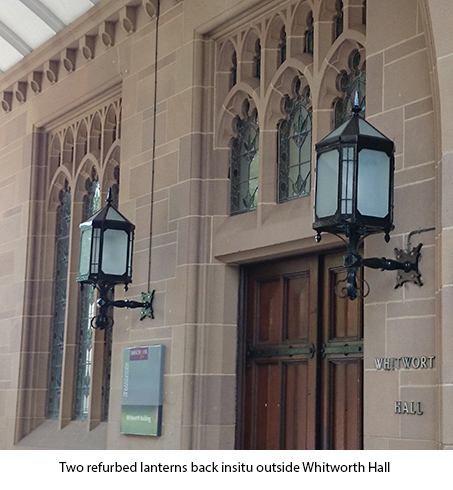 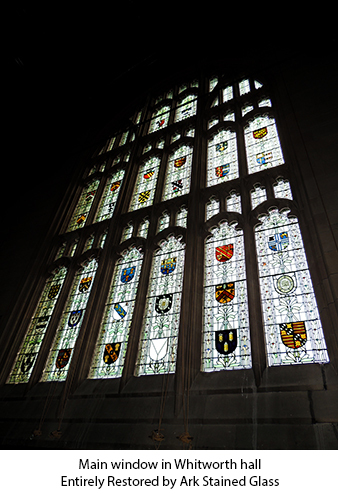 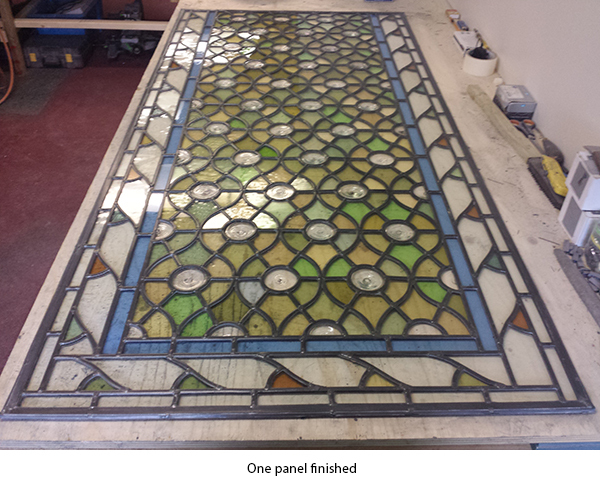 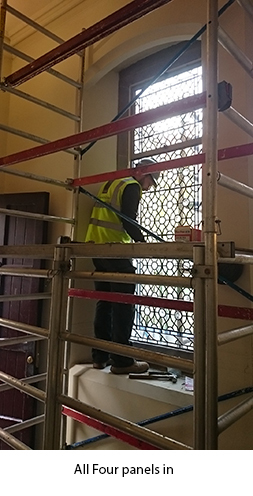 Over the last five years we have been restoring the beautiful leaded and stained glass windows across the university. 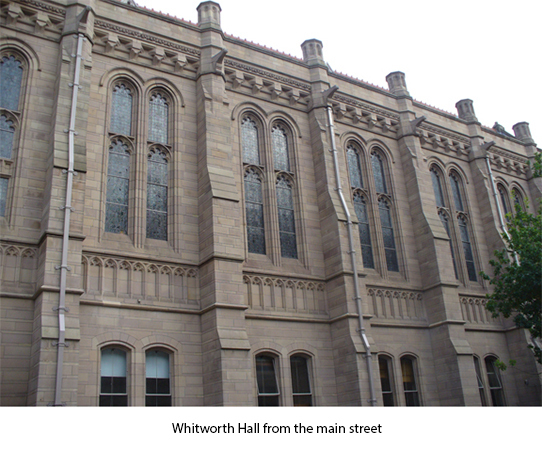 This Neo Gothic building was designed by Paul Waterhouse, son of Alfred Waterhouse, designer of the Natural History Museum in London. 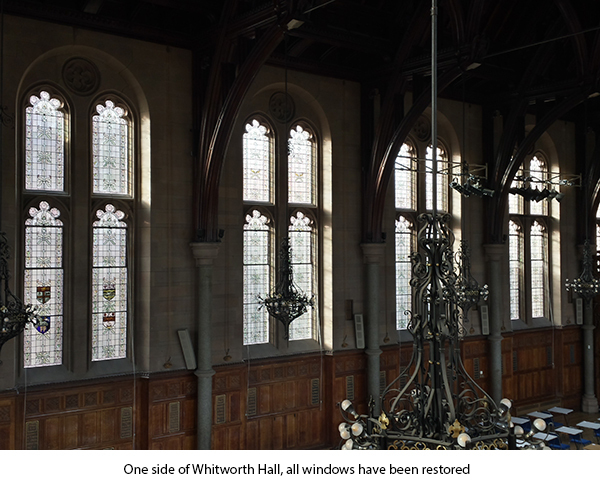 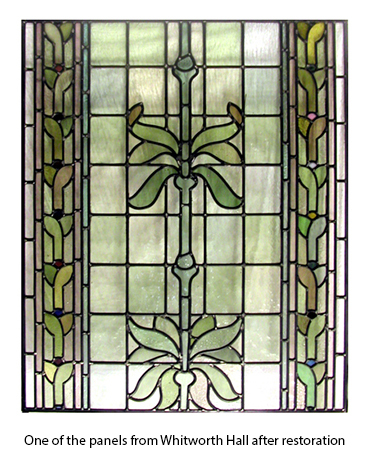 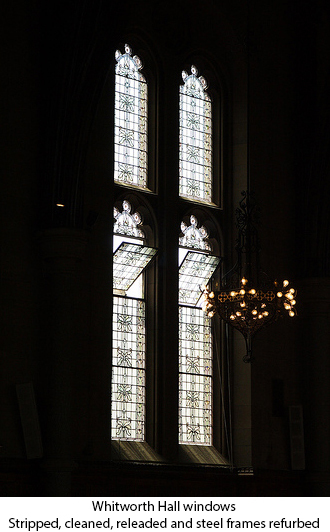 After 116 years of use the leaded light windows were in drastic need of attention. 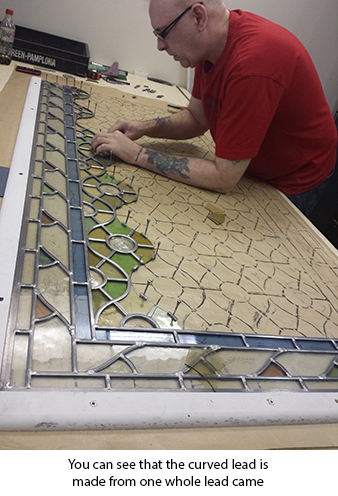 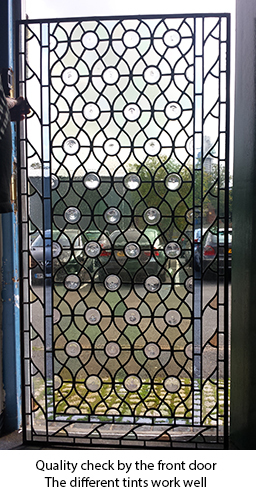 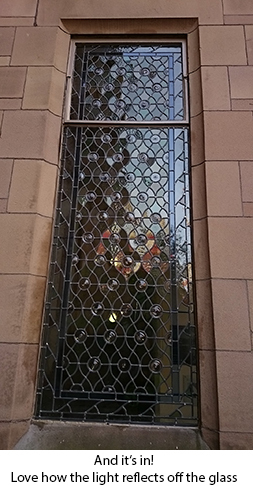 Lead cames and solder joints had failed resulting in damaged glass. 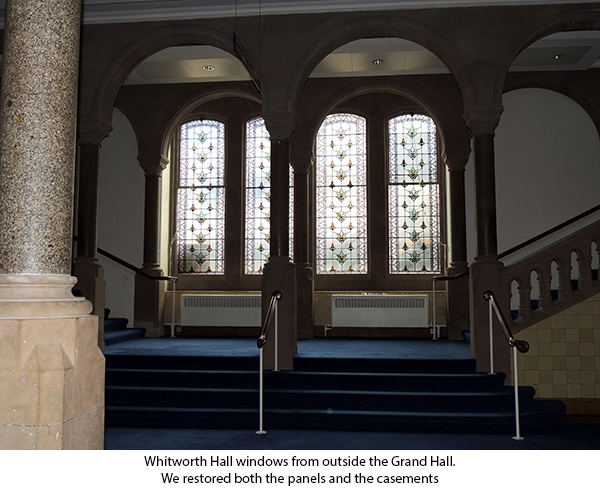 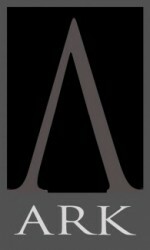 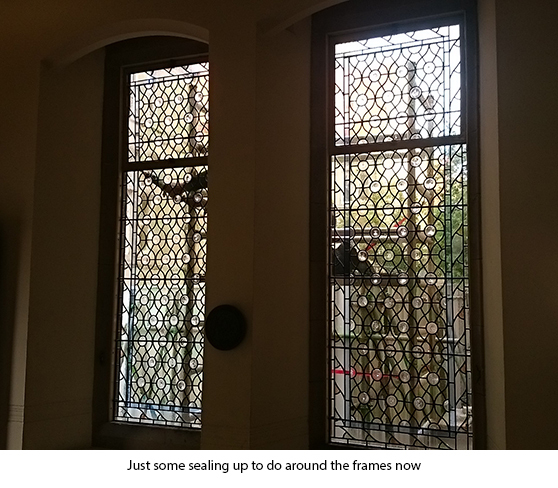 Our work involved removing all of the windows, dismantling cleaning and releading the windows prior to our refitting. 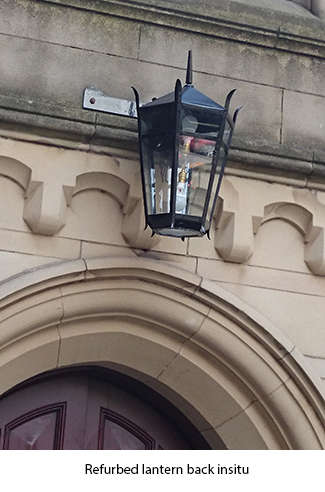 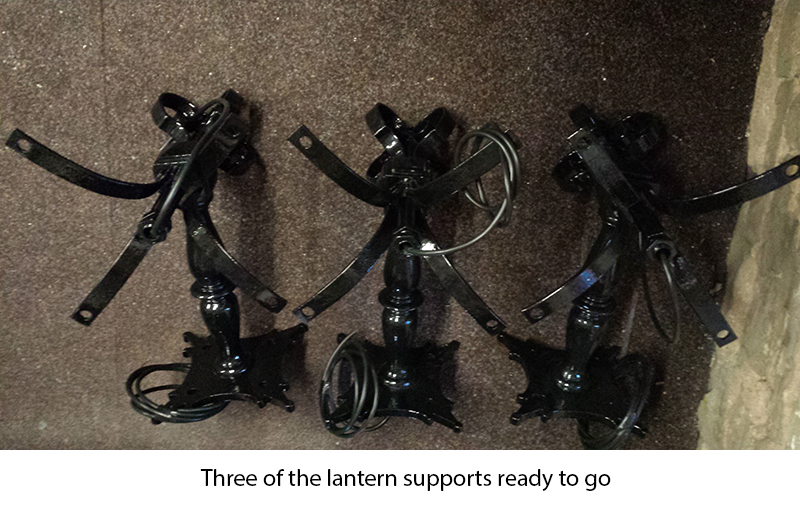 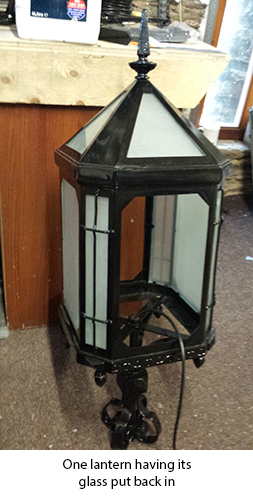 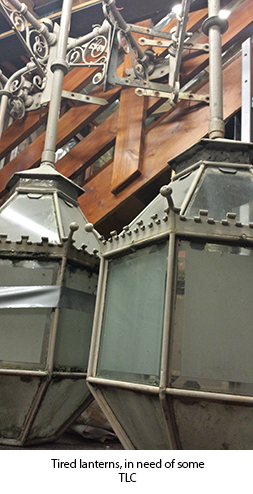 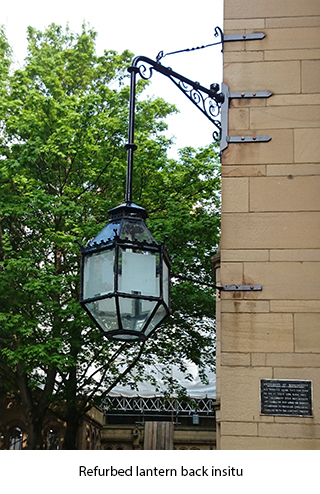 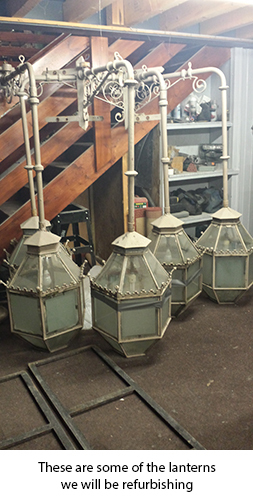 Along with this work we refurbished the old steel casements and reproduced any missing hardware, along with the lanterns.